Live fire cooking is alive and well at Red Ash in Austin, Texas. Photo by Robert Lerma. Cooking with fire at Red Ash. Photo by Robert Lerma. Boiler Nine Bar + Grill. Photo by Casey Dunn. 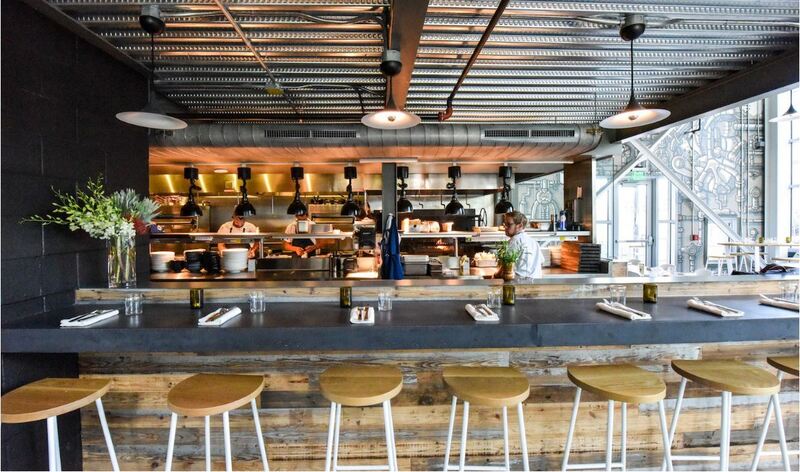 Dining in Austin, Texas has never been hotter. It’s no secret that Texas, now with over 2,000 barbecue joints across the state, has attracted a cult following of ‘cue aficionados. Smoked meat lovers travel from near and far to visit Austin hotspots like Franklin Barbecue and La Barbecue, standing in line for hours to acquire heaping trays of the region’s best brisket, ribs, and sausage. But these days, as some of the city’s top chefs test the delicious limits of live fire cooking, diners craving smoke have a whole new world of options. Austin’s Bryce Gilmore was one of the first chefs to cook directly over a live fire—first, on the trailer he outfitted with a wood-burning grill in his original Odd Duck restaurant, and then on a customized hearth at Barley Swine. As both restaurant concepts have grown exponentially, a majority of Gilmore’s dishes still see fire, from the rustic loaves of bread baked daily in a wood-burning oven to protein dishes like grilled whole quail al pastor with shishito mayo, peach pico, and cashews. Rene Ortiz was another early Austin adopter of cooking over direct flame at both Fresa’s, dedicated to chicken al carbon, and Launderette, his eastside homage to California cuisine. 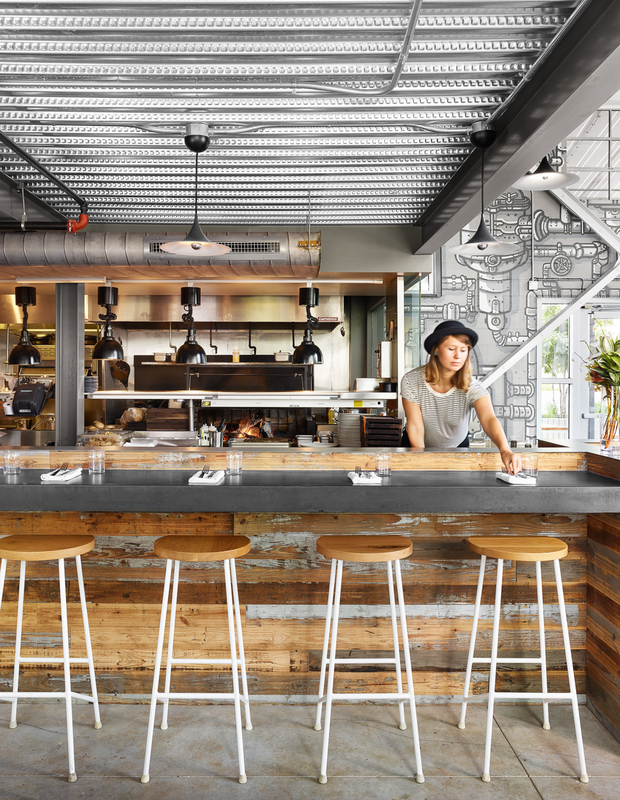 A number of newly opened restaurants have built their concepts and menus entirely around a live fire kitchen. 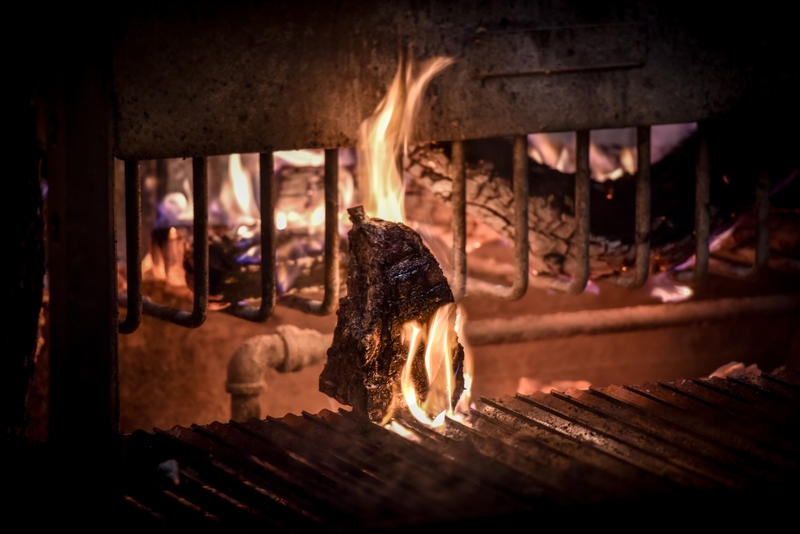 Last summer, Boiler Nine Bar + Grill in the historic Seaholm Power Plant district, where chef Jason Stude uses a seven-foot-long Argentinian parrilla grill with a brasero for burning wood. 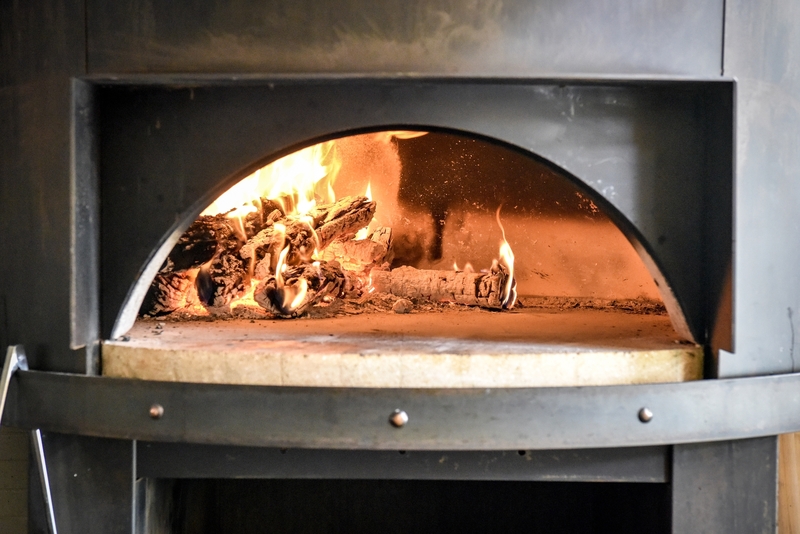 Red Ash opened downtown last fall, with chef John Carver using a wood-fired grill, plancha, and an oven to craft rustic, flame-kissed Italian food. This fall, the fire-focused Garrison will open with Austin’s brand new Fairmont Hotel, and this winter The Brewer’s Table will open on the eastside, infusing elements of wood and smoke in each dish and the beer served with it. Austin chefs are able to source reasonably priced wood, cut and aged for them, then delivered in bundles to the restaurant. While mesquite and pecan are available, post oak is by far the most commonly used. Meanwhile, Jason Stude found his preferred balance in a 50/50 blend of oak with mesquite, which burns even hotter and has a sharper, more robust flavour which spices up the softness of the oak. The chef uses a variety of techniques to put at least a touch of fire in every Boiler Nine dish, from burying beets in embers to directly charring red peppers in the fire to sautéeing carrots over flames using a perforated pan. “If you want the flavour of fire people tend to think that means just meat, but we don’t think that way,” says Stude, whose creations range from a grilled Akaushi sirloin with carrot ash and fire roasted mushrooms to a grilled cauliflower with charred scallion chimichurri and roasted grape relish.